Are you fond of makeup but can’t find a foundation for sensitive skin? People will a sensitive skin struggle to find a good foundation as most of the commercial foundations are filled with chemicals that clog the pores and irritate the skin. Using such heavy formulas on sensitive skin can not only damage the skin further but can also cause itching and redness. This is the reason why foundations specially designed for sensitive skin are used to make the skin look polished without irritating it in the process. If you are looking for a full-coverage foundation for sensitive skin, the Dermablend liquid foundation is a good option to consider. It is available in 20 shades and can be used in multiple ways. The formula is non-comedogenic and has been tested by dermatologists on sensitive skin. It is oil-free, paraben-free, and fragrance-free. The formula is very lightweight and gives a natural finish to the skin without looking cakey or oily. The dropper packaging avoids wastage of product and you only need a small drop to cover the whole face. The foundation can also be mixed with other products for custom coverage. The price is a bit high and the quantity is good as one bottle lasts for 5-6 months. The foundation comes in 20 shades and suits all types of skin tones including sensitive skin. It is formulated without parabens, artificial fragrances and oil. The dropper bottle makes it easier to take out the product and reduces wastage. It comes with a buildable coverage and provides full coverage without looking cakey. It is a bit expensive as compared to other foundations for sensitive skin. The formula dries quickly so you need to blend it fast to get an even coverage. This foundation provides a full coverage with a natural finish and stays for the whole day. It is very lightweight in terms of texture and has an oil-free formula that does not clog the pores. With four sizes to choose from, the sensitive skin foundation from Covergirl is available in a variety of shades and has an oil-free and fragrance-free formula for sensitive skin. The foundation comes in a compact packaging and the quantity is good. It has a creamy formula that does not clog pores and provides a sheer to medium coverage. The formula feels light on the skin and has a good staying power. It reduces the appearance of pores and gives an even finish to the skin. The waterproof finish works well for special occasions. The price of the foundation is very affordable and you get a pack of two bottles at a reasonable price. It comes at a very affordable price with a compact and handy packaging. The oil-free and fragrance-free formula is available in four shades and glides smoothly on the skin. It provides a natural coverage and reduces the appearance of pores. The foundation has a waterproof formula that stays for 8-9 hours. It does not cover major skin imperfections and unevenness. The foundation is not available in a single pack. It is a very affordable foundation that works well for sensitive skin and is suitable for daily use as well. It does not clog the pores and comes with a waterproof formula that glides smoothly on the skin. 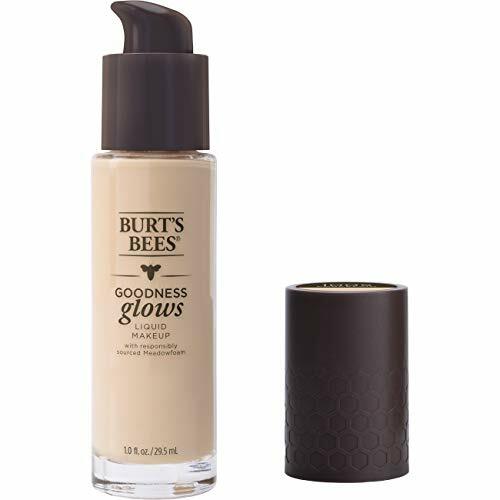 Made with 98.9% natural minerals, this foundation from Burt’s Bees provides a dewy finish and is available in 18 shades to choose from. It also contains Meadowfoam seed oil that hydrates the skin and gives a luminous finish. The foundation comes in a pump packaging and is formulated without parabens and artificial fragrances. The coverage of the foundation is buildable and it does not fade or look cakey. The formula takes some time to glide on the skin but sets to an even finish. The pump packaging is convenient to use and one bottle lasts for 5-6 months depending on the usage. The price of the foundation is moderate as compared to other foundations for sensitive skin. 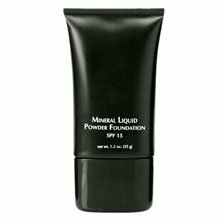 It is formulated with natural minerals that are gentle on the skin and add more pigmentation to the formula. The foundation gives a luminous and dewy finish to the skin and has a buildable coverage. The staying power is good and the packaging is very convenient to use. The shade range is good and offers something for all skin tones. The foundation can feel a bit dry if used on very dry skin without a moisturizer. It requires a good blending to give an even finish and takes time to settle on the skin. The formula uses natural minerals to make the skin look polished and even without using any fillers and chemicals. The foundation is very light and airy in terms of texture and provides a medium coverage. One of the very few foundations that are formulated using the shade-sensing technology, the Almay skintone matching makeup is available in six shades and adapts to your natural skin tone. It comes with SPF 15 and offers broad-spectrum sun protection to the skin. The foundation is white in colour and has to be blended into the skin to reveal its true shade based on your actual skin tone. It gives a natural finish without any streaks and does not irritate the skin in any way. You have to choose your shade quite carefully as the shades adapt to all skin tones in a different way. The price of the foundation is moderate and one tube lasts for 3-4 months. The foundation uses ToneMimic technology to match your natural skin tone. It blends easily into the skin and settles to a natural and streakless finish. The formula comes with SPF 15 that eliminates the need of a separate sunscreen. It does not look cakey even after 7-8 hours of wear. The shade needs to be selected carefully as all shades look white in the tube. The formula is a bit drying so you need to wear a moisturizer underneath it. The unique feature of this foundation is that it suits your natural skin tone well and blends into the skin without leaving a trace of whiteness. It is available in a variety of shades and has a good staying power. 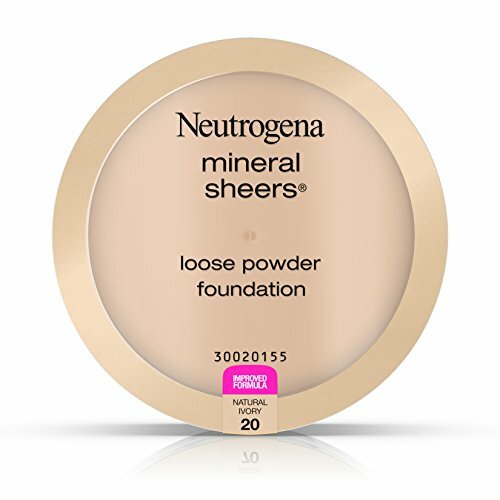 If you are looking for a loose powder foundation for oily and sensitive skin, the Neutrogena loose mineral foundation is great for daily use. It is available in 8 shades and is suitable for sensitive skin. It has a lightweight formula and allows the skin to breathe freely under the foundation. The staying power of the formula is average as it needs a touch-up after 5-6 hours. It works well on oily skin and keeps excess oil under control. The packaging is quite handy and is good for travel purposes. The quantity is good and the price of the foundation is very affordable as compared to other foundations. The mineral formula does not cause any redness or itching to the skin. The shade range is good and the formula is very finely milled to blend easily into the skin. It comes at a very affordable price and the packaging is travel-friendly. The formula absorbs excess oil and improves the overall skin tone. It is not suitable for dry skin as the powder formula absorbs moisture. The staying power of the foundation is not as good as other foundations. This mineral powder foundation gives an oil-free look to the face and comes at a very affordable price. The packaging is good for touch-ups and the formula settles to a natural matte finish. A matte foundation designed to reduce pores and absorb excess oil, the La Roche-Posay mousse foundation works well for oily acne-prone sensitive skin. It is available in five shades and comes in a standard tube packaging. The formula is thick in consistency and a small quantity covers the whole face. It is free of parabens and is non-comedogenic. The oil-free mousse glides smoothly on the skin and offers sheer to medium coverage. It instantly absorbs excess oil and keeps the face matte for 8-9 hours. The quantity is good and the price of the foundation is higher than other variants. The formula covers blemishes and reduces the appearance of pores instantly. The packaging is quite convenient to use and the mousse formula settles to a natural matte finish. The foundation is free of parabens and artificial fragrances as it is designed for sensitive skin. It does not dry the skin like other matte formulas and has a good staying power. The foundation is expensive as compared to other brands. The formula takes some time to blend into the skin because of thick consistency. The foundation conceals large pores very effectively and makes the skin look even and oil-free for the whole day. It instantly mattifies the skin and is free of parabens to suit sensitive skin. If you are looking for a liquid foundation that sets to a powder finish, this foundation from Jolie is a good option to consider. It uses a mineral complex to give a natural finish to the skin and absorb excess oil. The foundation is available in 13 shades ranging from Vanilla Cream to Almond. It offers broad-spectrum sun protection with SPF 15 and is hypoallergenic to suit sensitive skin. The foundation is infused with antioxidants and contains micro-diffusers that help it blend into the skin easily. The price of the foundation is a bit higher than other foundations but you can get it at a discount online. The shade range of the foundation is quite diverse and suits all skin tones. It offers good sun protection and sets to a soft and natural powder finish. The foundation has a hypoallergenic formula and covers pores and blemishes well. It absorbs excess oil easily and keeps the skin matte for the whole day. The price of the foundation is a bit high as compared to the quantity. The formula can dry out the skin if used on very dry skin. This foundation is good for people who find it difficult to use a powder foundation and want a natural matte finish. It offers additional sun protection and is full of antioxidants that protect the skin cells from any damage. Made with organic oils and flower-based iron oxide, this foundation from Eco Bella has a vegan and cruelty-free formula. It does not contain any chemicals or artificial fragrances that irritate the skin. The foundation is available in 7 diverse shades and offers medium buildable coverage. It is easy to apply and has a staying power of 6-7 hours depending on the weather and skin type. The water-based formula is good for dry skin and settles to a dewy natural finish after a while. The price of the foundation is high as it contains all natural ingredients to suit sensitive skin. The foundation contains organic oils, aloe vera and plant-based iron oxides and is formulated without chemicals. The formula is water-based and is suitable for all skin types. It feels light on the skin and provides a medium coverage. The creamy and non-greasy formula does not cause any clogging or breakouts. The foundation is a bit thicker than normal formulas and can look patchy. It can feel a bit sticky on the skin if too much product is used than required. This vegan and cruelty-free foundation is a great alternative to chemical-based formulas that irritate sensitive skin. The foundation uses natural ingredients to lend a smooth and dewy finish to the skin and makes it look even for 6-7 hours. One of the most popular full-coverage foundations available in the market, the Lorac PoreFection foundation comes with SPF 20 and is formulated using antioxidants to keep the skin healthy. The formula is free of parabens, artificial fragrances and oil so it does not cause breakouts even if worn for long hours. The staying power of the foundation is great as it stays intact without fading for 10-11 hours. The convenient pump packaging is very easy to use but a little bulky as the bottle is made up of glass. The price of the foundation is very high but the flawless coverage makes it worth it. It gives medium to full coverage and conceals pores instantly. The formula contains antioxidants that protect the skin from environmental damage. It offers a broad-spectrum sun protection with SPF 20. The diverse shade range with 10 shades suits all skin tones. The packaging is a bit bulky and prone to breakage. The price of the foundation is very high as compared to other brands. This foundation is good for people struggling with large pores as it covers pores and makes the skin appear smooth and flawless. The formula is very lightweight and offers additional sun protection of SPF 20 as well. With three shades to choose from, this foundation from Physicians Formula is formulated using translucent pigments that make the skin look radiant and fresh. It has a non-comedogenic and dermatologically tested formula that is free of oil and parabens. The formula offers sheer coverage and settles to a natural dewy finish so it is good for daily wear as well. It covers light blemishes and acne spots well. The fancy bow packaging on the bottle looks classy and the quantity lasts well for 3-4 months if used daily. The price of the foundation is very affordable. The translucent glow pigments add a natural brightness to the skin and make it look radiant and fresh. The price of this foundation is very less and the quantity is good for the price. The formula is free of parabens, fragrances, and oil and is non-comedogenic. It comes in a fancy packaging and is travel-friendly. The shade range available in the foundation is quite limited. It has a light orange tint that can look odd on very fair skin tones. It is a great foundation if you have a dry skin and are looking for a dewy and radiant finish. It is quite affordable and has a lightweight formula which offers a sheer natural coverage to the skin. The formula of the foundation you are planning to buy should be free of parabens, artificial fragrances, and fillers that might irritate sensitive skin. Look for soothing ingredients and water-based formulas that do not clog pores and reduce skin inflammations. Foundations that have a lightweight formula with natural ingredients work best for sensitive skin. Check if the formula is hypoallergenic and free of parabens and artificial fragrances. Go for a sheer natural coverage if you are using the foundation for daily wear or work makeup. You can choose a full-coverage foundation for special occasions. Most of the foundations come with buildable coverage so you can get a better coverage if you layer the product. Do not go for very heavy foundations that can irritate sensitive skin. Some foundations are designed to give a matte finish while some formulas settle to a dewy and radiant finish. Go for a matte formula if you have oily sensitive skin and a hydrating dewy formula for dry skin. Foundations that offer a subtle and natural finish should be preferred over cakey and thick formulas that look patchy on the skin. The staying power of powder foundations is more than that of liquid foundations so choose accordingly. Most foundations stay without fading for 6-7 hours after which they might need a touch-up if you have an oily skin. You can also set the liquid foundation with a finishing powder to get better staying power. Check if the foundation offers a diverse shade range and a shade that suits your natural skin tone perfectly. Some formulas adapt to the natural skin colour but it is better to go for shades that blend into the skin and make it look naturally even. Select a shade according to the season also as your skin appears to be darker in winters as compared to the summer season. Keep your skin concerns in mind and do not go for formulas that are not suited for that particular concern. If you have a skin condition like rosacea or eczema, avoid going for heavy foundations that can further aggravate the symptoms. Choose lighter formulas that do not clog the pores and get removed easily for keeping the skin pores clean and unclogged to avoid breakouts. Foundations designed for sensitive skin are generally more expensive as compared to regular foundations. You can get a good foundation for sensitive skin in 8$ to 35$ depending on the brand. Do not go for very cheap foundations as they may damage the skin further and will not give the desired finish. If you think that the foundation that suits your skin is expensive, you can mix it with a bit of moisturizer to get the same effect without using up more quantity. This is a very important factor to consider when buying a foundation for sensitive skin as these reviews will give you a genuine idea of how effective the foundation is and whether it suits your skin type or not. You can also share your own concerns on the public forum to get answers for your questions, if any before you purchase the foundation. Q: Can I wear a foundation every day if I have sensitive skin? A: Yes, as long as the foundation is designed for your particular skin type and does not contain harmful chemicals that can aggravate the skin. While it is not recommended to use heavy foundations daily for normal skin also, you can go for a lightweight formula with sheer coverage for daily use. Give your skin a break occasionally to let it breathe and remove makeup every night before sleeping to keep your skin healthy and youthful. Q:Which is the right way to remove foundation for sensitive skin? A: It is advisable to remove your foundation using a waterproof makeup remover first before washing your face with a cleanser suitable for sensitive skin. Use soft cotton cloth or wipes to remove the foundation with soft circular motions rather than harsh scrubbing as this can aggravate the skin and cause redness. Choose a cleanser that is free of chemicals to keep the skin clean and healthy after makeup removal. Also, do not sleep with makeup on if you have sensitive skin. Remove all traces of makeup before sleeping. Q: How to improve the staying power of the foundation? A: If your foundation does not stay for long hours, you can use a primer underneath to improve the staying power of the formula or set it with a finishing powder. These two tips make the foundation stay on the skin for longer without fading or looking patchy. Also, clean your face properly before applying the foundation as the excess oil or dirt on the skin can cause the foundation to slip or fade easily. Q: Can I layer the foundation for a better coverage and staying power? A: If a foundation comes with buildable coverage, you can layer it up after blending the layers well to get a full coverage but this can take away the natural finish and make it evident that you are wearing makeup. For improving the staying power, you can use the tips shared above to get more wear out of your foundation. Stay away from formulas that contain many chemicals as these chemicals can harm the skin in the long run and will lead to redness and itching. Keep a small bottle of foundation with you while travelling to avoid lugging the bulky glass bottle. Do not switch foundations very often if you have a sensitive skin as this can cause the skin to react to different formulas. Blend the foundation into the skin using a clean sponge or a foundation brush but make sure that you clean the brush after every use and do not share it with anybody else to avoid transfer of germs. Use a foundation compact for touch-ups as liquid foundations can be a little difficult to use on the go and can ruin the whole makeup if not used correctly. Always use a moisturizer underneath the foundation and an additional sunscreen if the foundation does not offer sun protection. Pat the foundation into the skin instead of blending it if you want a natural finish and improved coverage. Always start with a very little quantity and take more product if required to get a natural finish which matches your skin tone. Match the tester shade to your neck instead of your face as your neck reveals your true skin colour and the foundation looks closer to the normal skin tone when worn on neck and face. Mix a bit of facial oil into the foundation if the formula appears a bit dry on the skin to get a dewy and hydrated finish. Keep a blotting tissue in your bag if you have a very oily skin to keep the foundation stay for longer without looking greasy or heavy. Check if the formula of the foundation is dermatologically tested before purchasing it as these formulas are better suited for sensitive skin. So this was the detailed compilation of the ten best foundations for sensitive skin. These foundations are designed without parabens and artificial fragrances to suit sensitive skin. They contain natural oils and soothing extracts that do not cause any redness and rashes on the skin. People with sensitive skin can use a foundation daily if they choose the right product suited for their skin type and concern. This detailed buyer guide with general FAQs and tips will prove to be useful if you are struggling to select the right foundation. Do you have a sensitive skin and use a foundation? Which foundation suits your skin?